If you have been bitten by a dog, the owner of the dog is legally responsible in the State of Missouri. Many dog bites require medical treatment, such as an emergency department visit, stitches, plastic surgery, skin grafts, antibiotics, and many doctor visits. Additionally, the victim of a dog bite usually spends the rest of their life living with physical scars from the bite wound. In many dog bite cases, a big factor in determining a fair settlement value is scarring, particularly scarring to the face, head, neck, arms, hands, or legs. These physical scars are a constant reminder of the traumatic experience. They also create a barrier to healing the emotional and psychological scars that are caused by a dog attack. A fair dog bite settlement will include a fair amount to compensate for the physical and emotional scarring suffered by the victim, in addition to payment of the victim’s medical bills, future medical treatment, and, if applicable, lost wages. A repeated concern of folks who have been bitten by dogs is to make sure that the dog does not bite anyone else, particularly a child. Attacks by large powerful dogs, such as pit bulls, rottweilers, and presa canarious can result in severe, debilitating injuries and sometimes even death. Many times the dog either escaped from the owner’s house or yard, or it bit someone inside the house or on the owner’s property. Regardless of the location, victims of dog bites realize the dog is dangerous and that other people, including children, are at risk of being attacked by the dog again, perhaps resulting in more serious injuries the next time.  At Austin Bradley Law Office, not only do we advance the cost of pursuing your dog bite claim, we also fight to make sure adequate steps are taken to prevent the dog from attacking anyone else again. Pursuing your dog bite claim results in the dog owner’s insurance company investigating the cause of the dog bite. Frequently, after the investigation, the dog owner’s insurance company will refuse to continue providing insurance unless adequate safety measures are taken to restrain the dog. In cases where the insurance company determines the dog is too dangerous, they may require that the dog be removed from the home altogether. As always, you owe us nothing unless we recover money on your behalf.